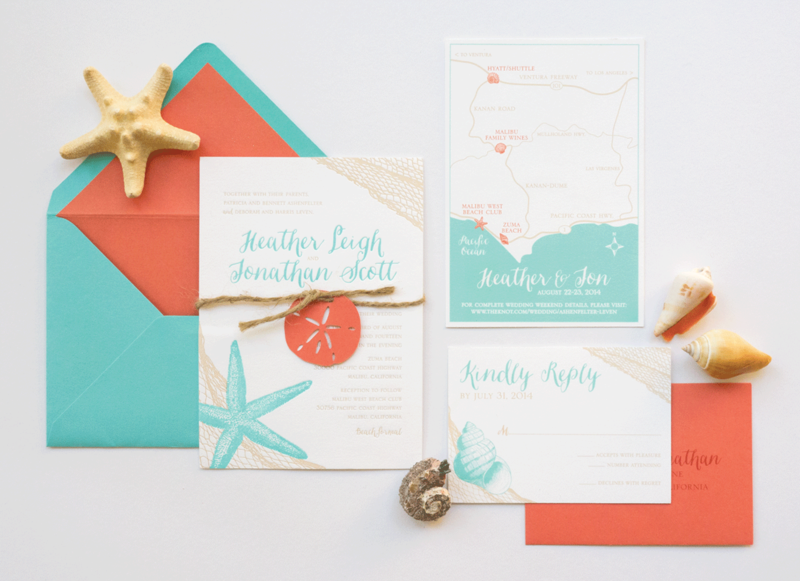 Bright coral, turquoise and sand were the perfect color combination for this chic beach wedding. 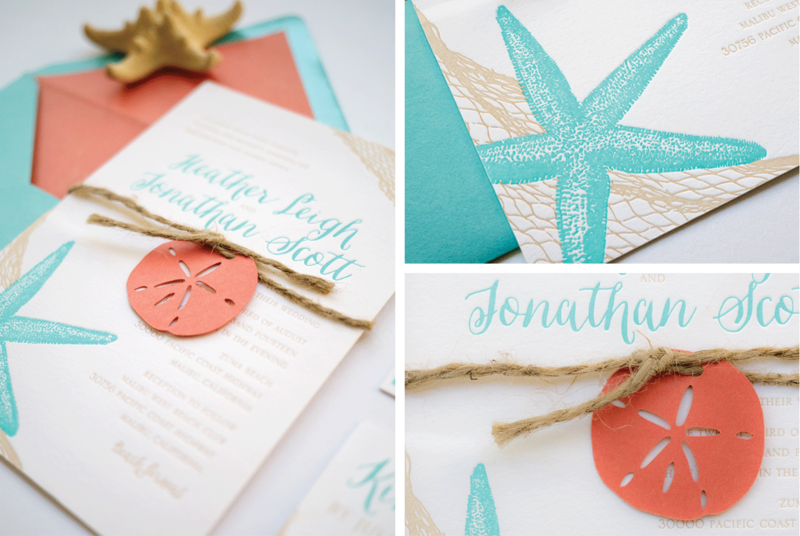 Playful, yet romantic and elegant, this invitation features a large starfish dancing on the page. A great way to announce your destination wedding. Letterpress and flat printed on cream cotton card stock. 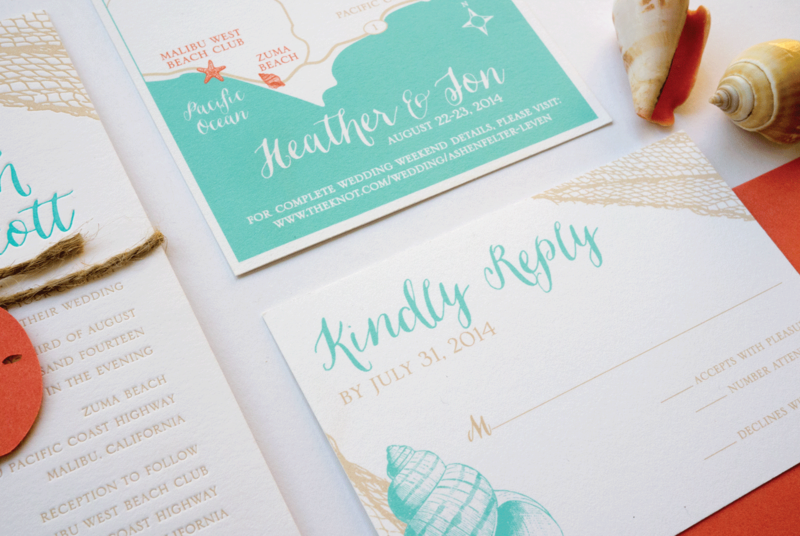 Suite included an invitation, lined envelope, rsvp set and map. All pieces were held together with a twine tie and die cut paper sand dollar.